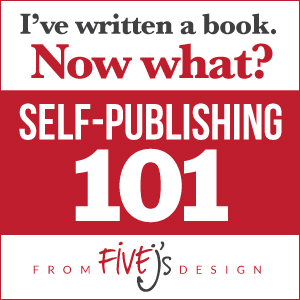 We’re continuing our look at the ins and outs of self-publishing. Last time we looked at the art of revision, so now we’ll move on to one of the most crucial steps in the writing process—editing. I can hear you thinking to yourself, “I’ve already edited my book. I did all the stuff you talked about last time during the revision process.” That’s all well and good, but much of what you did during revision needs to be done again at a higher level, the editing level. As the author, you’re too close to the manuscript. You may see the big picture well enough, but little things slip through the cracks. Another set of eyes can help find and point out those problems. How much can I budget for the editing process? How long am I willing to take for the editing process? Am I willing to potentially cut or rewrite large sections of my manuscript? Can I take the constructive criticism of others without getting offended? Am I sure my manuscript is ready to be read by others? Hire a professional copy editor. A copy editor will go through your manuscript line by line and look for grammar and punctuation errors, as well as sentences that could be tightened up or rewritten to make better sense. A copy editor will not necessarily help you with the story itself. Copy editors usually charge by the word. Hire a professional manuscript editor. A manuscript editor does everything a copy editor would do and then some. A quality manuscript editor will help you with your story itself, looking for weaknesses in your writing (passive voice, head jumping, plot holes), and help you craft a better final product. Get people you trust to read your book. Conventional wisdom says to avoid close friends and family members. People who are close to you may have a hard time giving you the sort criticism you need to hear, which leads to what I call American Idol Syndrome. This is where our loved ones don’t have the heart to tell us how awful we are, which leads us to believe we’re awesome. Give people permission to rip your manuscript to shreds—in fact, encourage them to do so. Though painful, your manuscript will be better as a result. Find beta readers. There are many sources for beta readers. I found many of my best beta readers by asking for them on Facebook. Old college friends, former co-workers, people from the neighborhood, acquaintances you hardly know—all of these are potential beta readers. They are also potential disasters, so choose beta readers judiciously. Join a local or online writers’ critique group. While this might be an excellent option for some, it may or may not work for you since group members are often required to critique other writers’ works as well. You may not be willing to spend the time necessary to edit someone else’s work, or you may not have the time available. Post snippets of your work to a writer’s’ critique forum. This has limited returns for several reasons. Depending on the forum, the quality of feedback can vary widely. I experienced this recently when I posted a snippet of a chapter on a forum for feedback. The only person who offered me any feedback honestly didn’t know what he was talking about, even though he was an aspiring author himself. In addition, like critique groups, the downside to this option is that most forums ask that you offer at least as many critiques as you receive, sometimes more. There are other ways you can get more eyes on your manuscript. Be creative in your search and don’t be afraid to ask for help. But here’s word of caution: don’t fall into the trap of believing that the more people you have reading and offering feedback the better. My own opinion is that you shouldn’t have more than a handful of readers critiquing your manuscript at any given time. The amount of feedback can become overwhelming, not to mention the fact that your readers will often have conflicting opinions. You’ll need to give yourself time and space to sort things out. Above all, remember that the manuscript is your manuscript. No one can force you to change a single word, nor should you feel obligated to make changes. Take the criticism you asked for and use it constructively, realizing that not every piece of advice is worth implementing. What’s important is that you’re open to what your critics have to tell you. In the next post, I’ll discuss how to begin preparing your manuscript for distribution. BigScoots is the host for all of our own websites, and they have far exceeded the quality and customer service of any other hosting company we've worked with. We can't recommend them enough! We design all our Wordpress-based websites on the Genesis framework because of Genesis' reliability, versatility, and community support. Genesis is a StudioPress product. © 2008–2019 Five Js Design. All rights reserved. Designed on the Genesis framework.